I have been an automotive technician since 2010. I'm familiar with a wide variety of Domestic, European, and Asian vehicles. My customers can trust that I will do what it takes to get their cars back on the road immediately. Manny was extremely well versed in all things auto and was able to answer all the questions I threw at him. I bought a salvaged Z71 Silverado on his recommendation and I am very confident in the quality of my new truck. I would absolutely recommend using Manny. Arrived on time. Professional and was knowledgeable. Great customer service. Fantastic and quick service. Manny was very knowledgeable, and answered a lot of extra questions. Manuel was very knowledgeable and professional. Definitely made a great choice using yourmechanic.com ! He was knowledgeable and helped me understand what to do for the future for my cars longevity! Manny was very knowledgeable and friendly. He finished the job very quickly and efficiently. Manny is great. Everything is completely good. Manuel was very professional and knowledgable. Made this first experience with "Your Mechanic" comfortable. Will use this service again. He called to let me know his exact ETA and informed me of everything he was gonna do when he arrived. He was very polite and go straight to work and was done before I even realized. He also warned me about potential problems and what to look out for, Definately appreciated that! Thanks again for the great work! Manual is a great mechanic. he was very prompt and started working on my vehicle right away. When I got in my car it drovet he way it used to.... great!!! I give Manual a 5 start review. I wasn't sure getting a mobile mechanic online, but believe me, your money will not be wasted. Good job was done with explanation and attention for car care in future. Manuel was great, he really paid attention to the details and was very helpful overall. I felt so much more at ease buying the vehicle after his inspection. I highly recommend him! Came on time and finished the work real fast. He has the knowledge and know what to do on my car. Manuel was great. I would definitely recommend him to anyone. Very knowledgeable and professional. Manuel was great. Showed up to appointment early. Very knowledgeable and completed service in a timely manner with no problem. Manuel was awesome! He was very personable and respectful. He arrived a couple of minutes early (which is perfect) and was ready to work. Originally, I was quoted that the job would take 3.5 hours. He got the job done thoroughly including an inspection in 1.5 hours!!! He saved me time and money. I now have the rest of my Saturday to run errands in my newly repaired vehicle. Also, he is knowledgeable and saved me even more money by explaining that I did not need an alignment after his work was done (something that Sears tried to rip me off by telling me it would have to be done). I would totally recommend him and will use him in the future. Thanks Manuel! Manuel was great... He got the job done no matter what "curves" were thrown at him. Very helpful in answering questions. I will absolutely book him for future repairs. Thanks Manuel! Excellent mechanic. Ver helpful and insightful. If I need work done again, I would be very happy to have Manuel work on my car again. I highly recommend him. This was my second time around dealing with Manuel, and once again he got the job done. Very Satisfied with the Service! Thanks! Manual is a very friendly and knowledgeable mechanic. My car is running great! Thank you. Manuel was very courteous, professional, and honest. Some of the parts he brought to repair my brakes & rotors were incorrect so the total repair time was extended by about 2 hours, but Manny kept me up to date with every step and guaranteed a speedy fix. 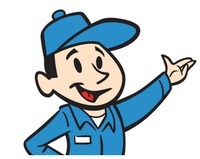 Super satisfied with the job so far and hope to refer him to my husband and neighbors. Great job taking care of my car and explaining all the work done.